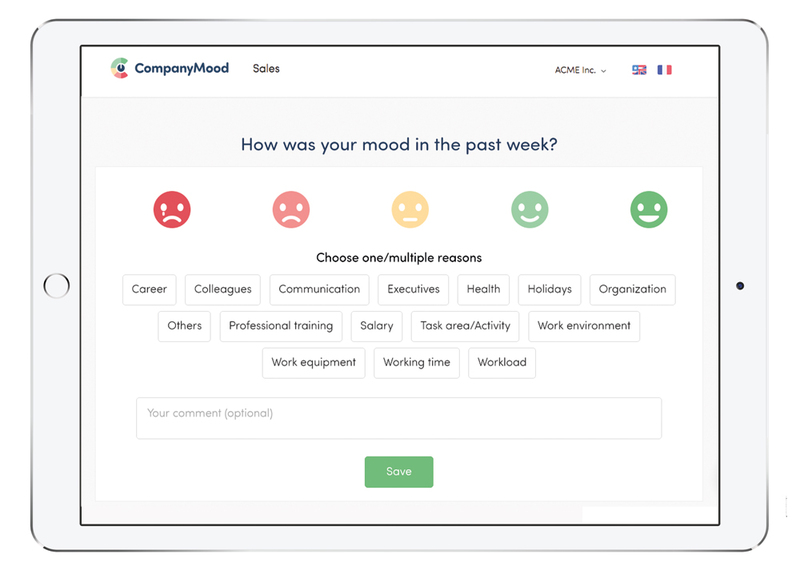 With the stationary terminal app for Android and iPad Tablets, employees without pc access can submit their mood review across all branches like production facilities, retail industry, gastronomy and more. Our terminal apps empower employees without pc access to participate at the continuous feedback. Installed on tablets (iOS/Android), the free app can be connected with your CompanyMood account. Your employees benefit from the possible felds of application without login.